STORServer, a provider of proven enterprise data backup solutions, today announces the release of its converged data protection appliances leveraging IBM® Spectrum Protect™ Plus. Providing a method to simplify data protection, the STORServer appliances use IBM Spectrum Protect Plus, designed for easy setup, management and recovery. Created for virtual machine (VM) backups and administrators, IBM Spectrum Protect Plus helps users focus on their most important tasks, such as data availability, control and management, instead of learning how to operate a complicated backup tool. In fact, IBM Spectrum Protect Plus can be set up in just minutes and protect data in as little as one hour. This new line of converged data protection appliances from STORServer complements the company’s commitment to providing simplified data backup to organizations that need to protect data in cloud, virtualized and data center environments. IBM recently highlighted this new data protection appliance in its blog post on March 21.
an IBM Spectrum Protect vSnap storage server, for large environments requiring > 500TB of backup storage. STORServer is a leading provider of data protection solutions and offers the only enterprise data backup appliance that is built to order. 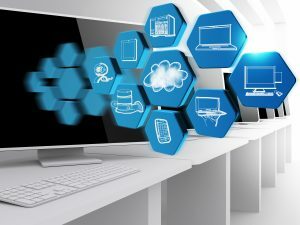 Each backup appliance solution is tailored to the customer’s unique environment to simplify management of complex backup, archive and disaster recovery needs. 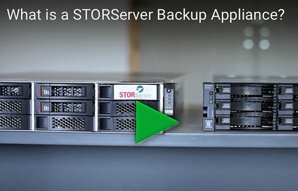 STORServer’s appliances feature enterprise class data backup, archive and disaster recovery software, hardware, services and U.S.-based customer support. STORServer is proud to now offer IBM Cloud containers and DRaaS in IBM Cloud virtual machines. Companies of all sizes trust in STORServer’s proven appliances to solve their most complex data protection problems. IBM and IBM Spectrum Protect Plus are trademarks of International Business Machines Corporation, registered in many jurisdictions worldwide.